Verdenscupen i alpint 2017 var den 51. sesongen av verdenscupen i alpint. Sesongen startet i Sölden 22.–23. oktober 2016, og ble avsluttet med finaler i Aspen 15.–19. mars 2017. Marcel Hirscher vant verdenscupen for sjette år på rad. Mikaela Shiffrin vant sin første sammenlagttittel. 26. november 2016 Lake Louise  DHcnx kansellert grunnet snømangel. 2. desember 2016 Beaver Creek  DHcnx kansellert grunnet snømangel. ^ «Sölden Ski Park». Ski Austria. ^ «Men's Giant Slalom – Sölden, Austria». International Ski Federation. 23. oktober 2016. ^ «Levi Ski Resort». Levi Lapland. ^ «Men's Slalom – Levi, Finland». International Ski Federation. 13. november 2016. ^ a b «Lake Louise Course Map» (PDF). LL Alpine Ski World. Arkivert fra originalen (PDF) 4. mars 2016. ^ «Men Cancel Lake Louise». International Ski Federation. 16. november 2016. Arkivert fra originalen Bruk av |arkiv_url= krever at |arkivdato= også er angitt (hjelp). Besøkt 21. november 2016. 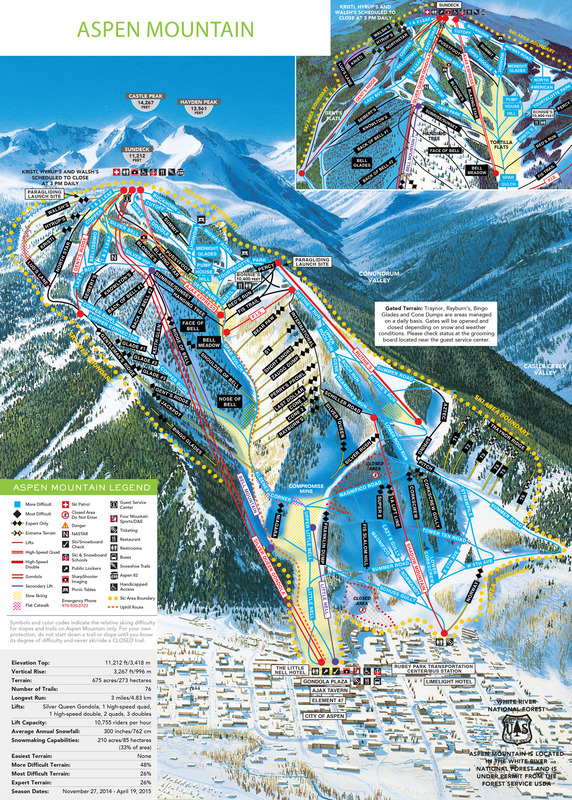 ^ «Beaver Creek Hill Map». Vail Resorts Management Co.
^ «Men Cancel Beaver Creek». International Ski Federation. 17. november 2016. Arkivert fra originalen Bruk av |arkiv_url= krever at |arkivdato= også er angitt (hjelp). Besøkt 21. november 2016. ^ «Val d-Isère at Bellvarde». World Cup Val-d-Isère. Arkivert fra originalen Bruk av |arkiv_url= krever at |arkivdato= også er angitt (hjelp). Besøkt 5. november 2016. ^ «Val d'Isère Set To Replace Beaver Creek CNX». International Ski Federation. 19. november 2016. Arkivert fra originalen Bruk av |arkiv_url= krever at |arkivdato= også er angitt (hjelp). Besøkt 21. november 2016. ^ «Men's Super-G, Val-d'Isère, France». International Ski Federation. 2. desember 2016. ^ «Men's Downhill, Val-d'Isère, France». International Ski Federation. 3. desember 2016. ^ «Men's Giant Slalom, Val-d'Isère, France». International Ski Federation. 4. desember 2016. ^ «Men's Giant Slalom, Val-d'Isère, France». International Ski Federation. 10. desember 2016. ^ «Men's Slalom, Val-d'Isère, France». International Ski Federation. 11. desember 2016. 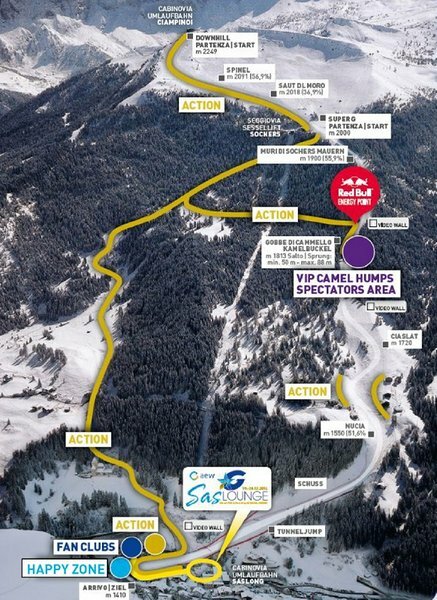 ^ «Val Gardena Course Map». Saslong Organization. Arkivert fra originalen 25. januar 2016. ^ «Men's Super Giant, Val Gardena, Italy». International Ski Federation. 16. desember 2016. ^ «Men's Downhill, Val Gardena, Italy». International Ski Federation. 17. desember 2016. ^ «Alta Badia Hill Layout». SudTirol. Arkivert fra originalen 26. januar 2016. ^ «Men's Giant Slalom, Alta Badia, Italy». International Ski Federation. 18. desember 2016. ^ «Men's Parallel Giant Slalom, Alta Badia, Italy». International Ski Federation. 19. desember 2016. 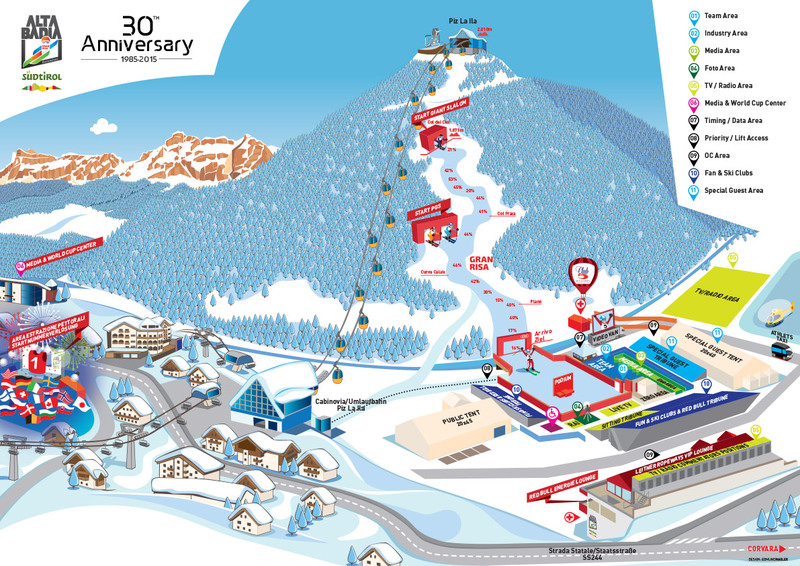 ^ «M-d'Campiglio Hill Map». Ski Two Italia (online). ^ «Men's Slalom, Madonna di Campiglio, Italy». International Ski Federation. 22. desember 2016. ^ «Planned Course layout». Bormio. januar 2016. ^ «Men's Super-G, Santa Caterina, Italy». International Ski Federation. 27. desember 2016. ^ «Santa Caterina Downhill Weather Cancellation». International Ski Federation. 28. desember 2016. Arkivert fra originalen Bruk av |arkiv_url= krever at |arkivdato= også er angitt (hjelp). Besøkt 30. desember 2016. ^ «Men's Combined, Santa Caterina, Italy». International Ski Federation. 29. desember 2016. ^ «Sljeme-Zagreb Hill Map». Snow Forecast. januar 2017. ^ «Men's Slalom, Zagreb, Croatia». International Ski Federation. 5. januar 2017. ^ «Adelboden Hill Map». On The Snow (online). Arkivert fra originalen 24. januar 2016. ^ «Men's Giant Slalom, Adelboden, Switzerland». International Ski Federation. 7. januar 2017. ^ «Men's Slalom, Adelboden, Switzerland». International Ski Federation. 8. januar 2017. ^ «Wengen LauberHorn Slalom Profile». LaugerHorn Ski Club, Switzerland. ^ «Wengen LauberHorn Downhill Profile». LaugerHorn Ski Club, Switzerland. 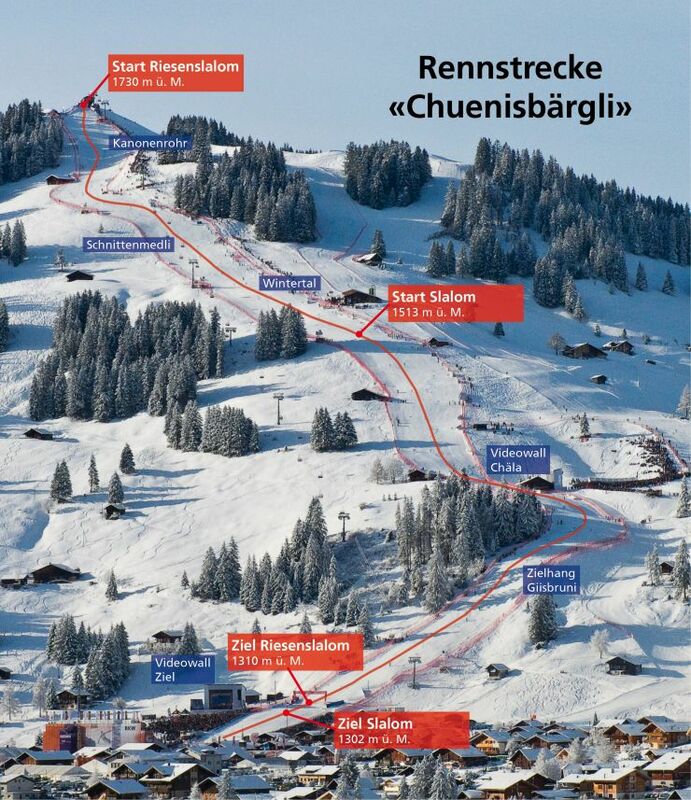 ^ «Wengen LauberHorn Hill Layout» (PDF). GeoInformation Kanton, Bern. ^ «Men's Alpine Combined, Wengen, Switzerland». International Ski Federation. 13. januar 2017. ^ «Garmisch-Partenkirchen to host rescheduled Wengen downhill». CBC Sports (engelsk). Besøkt 19. januar 2017. ^ «Men's Slalom, Wengen, Switzerland». International Ski Federation. 15. januar 2017. ^ «HahnenKamm Course Layout». Kitzbühel Ski Club. ^ «Men's Super Giant, Kitzbühel, Austria». International Ski Federation. 20. januar 2017. ^ «Men's Downhill, Kitzbühel, Austria». International Ski Federation. 21. januar 2017. ^ «Men's Slalom, Kitzbühel, Austria». International Ski Federation. 22. januar 2017. ^ «Schladming Hill Map». On The Snow. ^ «Men's Slalom, Schladming, Austria». International Ski Federation. 24. januar 2017. ^ «Garmisch-P Course Map» (PDF). Garmisch World Cup Ski. ^ «Men's Downhill, Garmisch, Germany». International Ski Federation. 28. januar 2017. ^ «Men's Giant Slalom, Garmisch, Germany». International Ski Federation. 29. januar 2017. ^ a b «Hammarbybacken Hill Map». On the Snow (online). ^ «Men's City Øvelse, Stockholm, Sweden». International Ski Federation. 31. januar 2017. 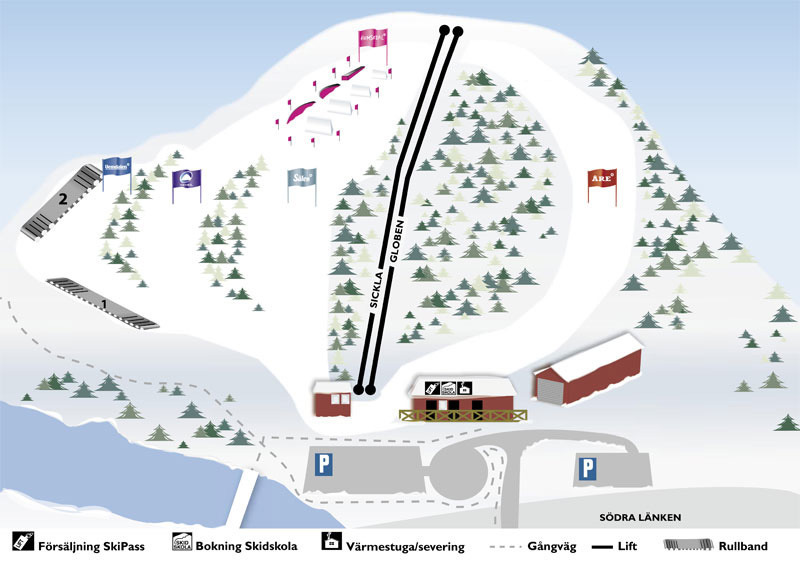 ^ «Kvitfjell Hill Map». On-The-Snow (online). ^ «Men's Downhill, Kvitfjell, Norway». International Ski Federation. 24. februar 2017. ^ «Men's Downhill, Kvitfjell, Norway». International Ski Federation. 25. februar 2017. ^ «Men's Super G, Kvitfjell, Norway». International Ski Federation. 26. februar 2017. ^ «Men's Giant Slalom, Kranjska Gora, Slovenia». International Ski Federation. 4. mars 2017. ^ «Men's Slalom, Kranjska Gora, Slovenia». International Ski Federation. 5. mars 2017. ^ «Aspen Hill Map». Aspen Mtn. Skiing. mars 2017. Arkivert fra originalen 7. september 2015. ^ «Men's Downhill, Aspen, United States». International Ski Federation. 15. mars 2017. ^ «Men's Super G, Aspen, United States». International Ski Federation. 16. mars 2017. ^ «Men's Giant Slalom, Aspen, United States». International Ski Federation. 18. mars 2017. ^ «Men's Slalom, Aspen, United States». International Ski Federation. 19. mars 2017. ^ «Womens' Giant Slalom – Sölden, AUT». International Ski Federation. 22. oktober 2016. ^ «Womens' Slalom – Levi, FIN». International Ski Federation. 12. november 2016. ^ «Killington Trail Map». Killington(dot)com. ^ «Womens' Giant Slalom, Killington, Vermont». International Ski Federation. 26. november 2016. 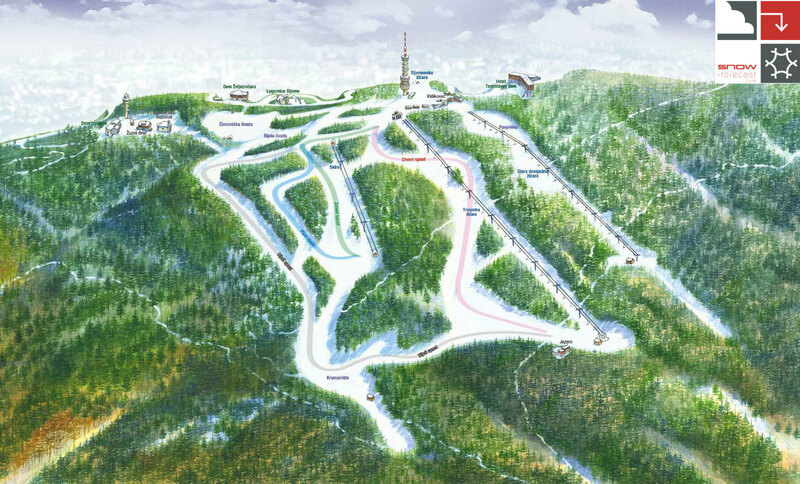 ^ «Killington Gets 1st World Cup Nod». Powder(dot)com. November 2016. ^ «Womens' Slalom, Killington, Vermont». International Ski Federation. 27. november 2016. ^ «Womens' Downhill, Lake Louise, Canada». International Ski Federation. 2. desember 2016. ^ «Womens' Downhill, Lake Louise, Canada». International Ski Federation. 3. desember 2016. ^ «Womens' Super G, Lake Louise, Canada». International Ski Federation. 4. desember 2016. 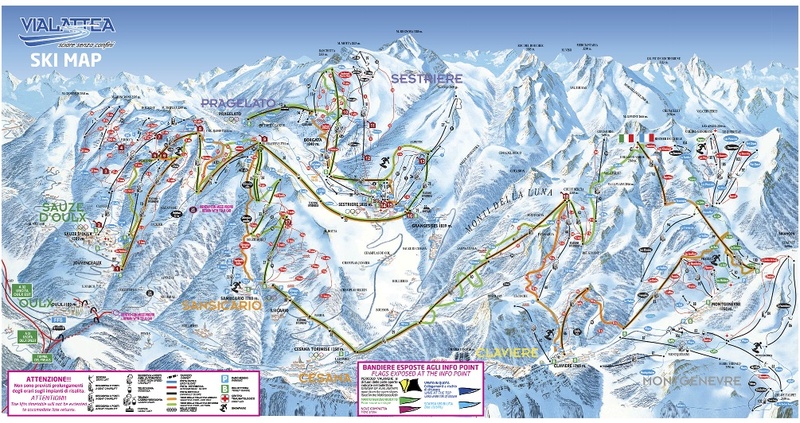 ^ «Sestriere Ski Map». Ski 2 Italy(dot)com. desember 2016. ^ «Womens' Giant Slalom, Sestriere, Italy». International Ski Federation. 10. desember 2016. ^ «Womens' Slalom, Sestriere, Italy». International Ski Federation. 11. desember 2016. ^ «Val d-Isère Slalom at Bellvarde». World Cup Val-d-Isère. Arkivert fra originalen Bruk av |arkiv_url= krever at |arkivdato= også er angitt (hjelp). Besøkt 5. november 2016. ^ «Womens' Alpine Combined, Val d-Isère, France». International Ski Federation. 16. desember 2016. ^ «Womens' Downhill, Val d-Isère, France». International Ski Federation. 17. desember 2016. ^ «Womens' Super G, Val d-Isère, France». International Ski Federation. 18. desember 2016. ^ «Emile-Allais Piste». Sport Courcheval. Arkivert fra originalen Bruk av |arkiv_url= krever at |arkivdato= også er angitt (hjelp). Besøkt 5. november 2016. ^ «Womens' Giant Slalom, Courchevel, France». International Ski Federation. 20. desember 2016. ^ «Semmering Ski Resort». Snow-Online(dot)com. desember 2016. ^ «Rescheduled Val d'Isère Giant Slalom». International Ski Federation. 22. desember 2016. Arkivert fra originalen Bruk av |arkiv_url= krever at |arkivdato= også er angitt (hjelp). Besøkt 30. desember 2016. ^ «Womens' Giant Slalom, Semmering, Austria». International Ski Federation. 27. desember 2016. ^ «Shiffrin 4». International Ski Federation. 27. desember 2016. Arkivert fra originalen Bruk av |arkiv_url= krever at |arkivdato= også er angitt (hjelp). Besøkt 30. desember 2016. ^ «Womens' Giant Slalom, Semmering, Austria». International Ski Federation. 28. desember 2016. ^ «Womens' Slalom, Semmering, Austria». International Ski Federation. 29. desember 2016. ^ «Womens' Slalom, Zagreb, Croatia». International Ski Federation. 3. januar 2017. ^ «Maribor Hill Map». Sourced by Google Earth, PINA and WB Ski. ^ «Womens' Giant Slalom, Maribor, Slovenia». International Ski Federation. 7. januar 2017. ^ «Womens' Slalom, Maribor, Slovenia». International Ski Federation. 8. januar 2017. ^ «Flachau Race Course». Ski Flachau World Cup. ^ «Womens' Slalom, Flachau, Switzerland». International Ski Federation. 10. januar 2017. ^ «Womens' Downhill, Zauchensee, Switzerland». International Ski Federation. 14. januar 2017. ^ «Womens' Alpine Combined, Zauchensee, Switzerland». International Ski Federation. 15. januar 2017. ^ «Womens' Downhill, Garmisch, Germany». International Ski Federation. 21. januar 2017. ^ «Womens' Super G, Garmisch, Germany». International Ski Federation. 22. januar 2017. 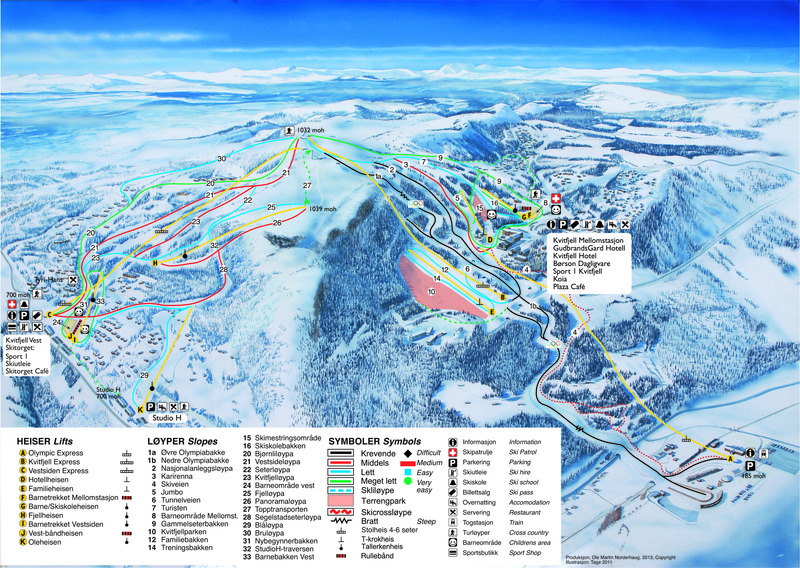 ^ «Kronplatz Hill Map» (PDF). Kronplatz(dot)com Visitor Page. januar 2017. Arkivert fra originalen (PDF) 9. september 2016. ^ «Womens' Giant Slalom, Kronplatz, Italy». International Ski Federation. 24. januar 2017. 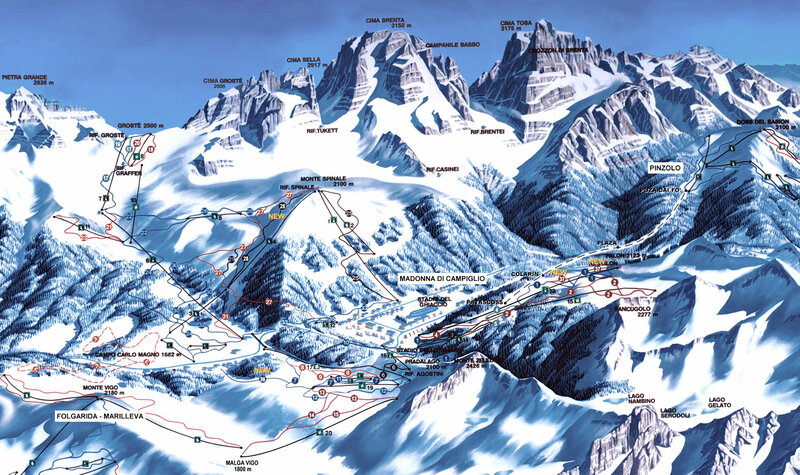 ^ «Cortina Classic Slalom Map» (PDF). Cortina Classic Organization Committee. ^ «Womens' Downhill, Cortina d'Ampezzo, Italy». International Ski Federation. 28. januar 2017. ^ «Womens' Super G, Cortina d'Ampezzo, Italy». International Ski Federation. 29. januar 2017. ^ «Womens' City Øvelse< Stockholm, Sweden». International Ski Federation. 31. januar 2017. ^ «Race Course - Piste Mont Profile». Crans Montana Committee. februar 2017. ^ «Womens' Alpine Combined, Crans-Montana, Switzerland». International Ski Federation. 26. februar 2017. ^ «Womens' Super G, Crans-Montana, Switzerland». International Ski Federation. 25. februar 2017. ^ «Jeongseon Hill Map». Ski Resort(dot)Info. mars 2017. ^ «Womens' Downhill, Jeongseon, South Korea». International Ski Federation. 4. mars 2017. ^ «Womens' Super G, Jeongseon, South Korea». International Ski Federation. 5. mars 2017. ^ «Squaw Trail Maps». Squaw-Alpine Management. mars 2017. ^ «Regional Press Blurb». SFGate(dot)com. oktober 2015. ^ «Womens' Giant Slalom, Squaw Valley, United States». International Ski Federation. 10. mars 2017. ^ «Womens' Slalom, Squaw Valley, United States». International Ski Federation. 11. mars 2017. ^ «Womens' Downhill, Aspen, United States». International Ski Federation. 15. mars 2017. ^ «Womens' Super G, Aspen, United States». International Ski Federation. 16. mars 2017. ^ «Womens' Slalom, Aspen, United States». International Ski Federation. 18. mars 2017. ^ «Womens' Giant Slalom, Aspen, United States». International Ski Federation. 19. mars 2017. Denne siden ble sist redigert 11. apr. 2019 kl. 12:14.